CASBAH in San Diego on Tuesday, February 12th. We play at 11 pm so come out and chilllll. Hey friends, sorry we have not updated recently, we have all been so busy in life and with the band this page had got away from us. But we are back! TOMORROW NIGHT IN SANTA BARBARA! We play the Mercury Lounge from 9 pm to 12 am (or later), the cover is $5, it is a 21+ establishment. We are also playing in San Luis Obispo and San Diego at The Casbah very soon so keep an eye out for those flyers! Our new single "Misaligned" releases next Monday, May 14th here at www.imagerymachine.com and will also be available on Spotify, YouTube and iTunes! The single was revealed on 91X Loudspeaker last Sunday night! Tune in this week to hear our lead guitarist, James chat on the radio and play some of our songs. We're SO excited to share this new song with you. In fact, if you comment on our Instagram post asking for the link, we'll send you the unlisted YouTube link today. Saturday, June 9th at SD Gypsyfest! We have tickets available for San Diego Gypsyfest! Email us if you're interested in attending at imagerymachine@gmail.com We'll be camping all weekend so come pitch a tent and party with Imagery Machine! The last two weekends have been amazing playing shows in San Luis Obispo, Solana Beach, and Long Beach. We met so many incredible fans and friends and discovered some great music too! Thanks for reading! We hope to see you at a show soon. WEDNESDAY, APRIL 11TH AT THE CASBAH! 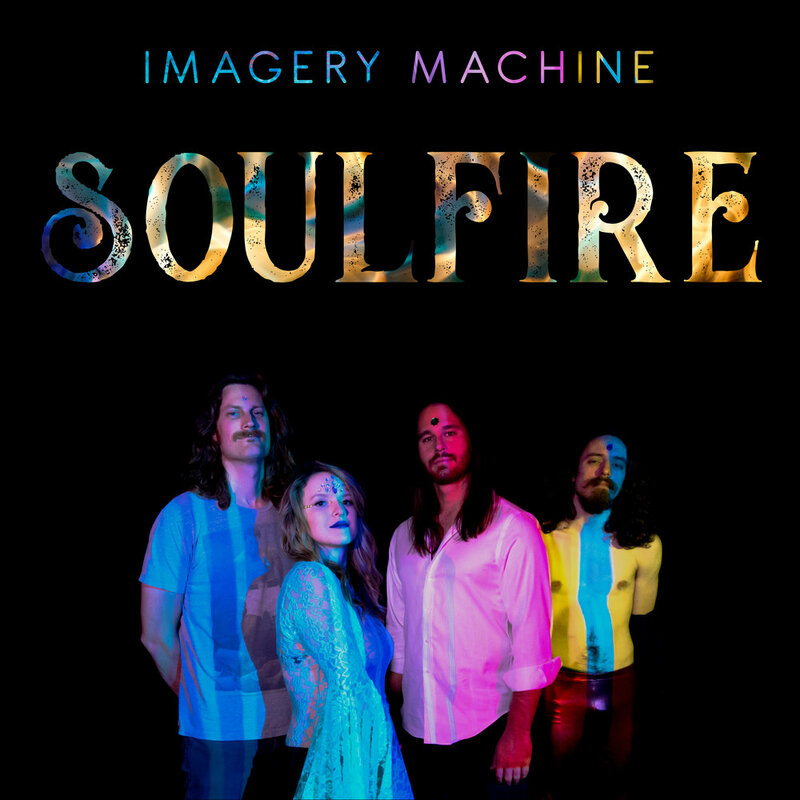 Join us for Imagery Machine's SOULFIRE Single Release Party at The Casbah in San Diego. Show starts at 9pm, Ages 21+, $7. 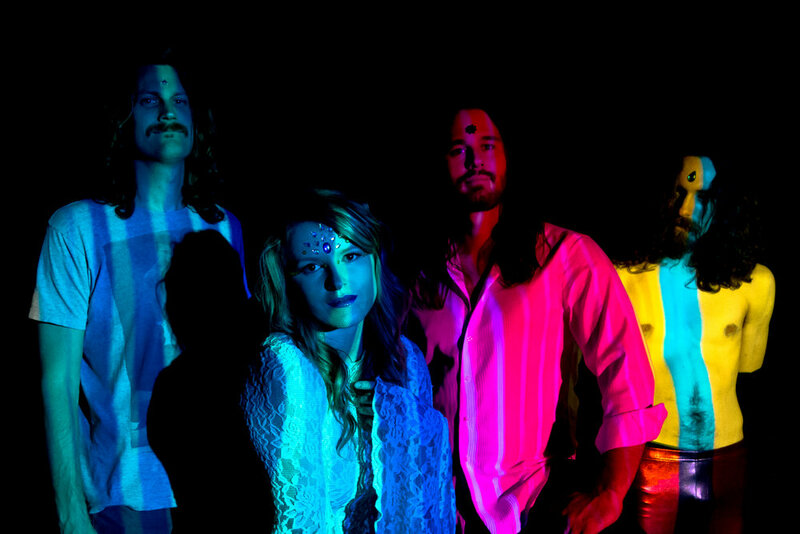 Other bands on the bill include local favorites The Night Howls and the debut live performance of Future Human. This is one you won't want to miss! Tickets are available now. Balboa Park: Park Boulevard and President's Way (All ages!) Music all day 10:30am-4:30pm. Imagery Machine takes the stage at 2:00pm. We're heading up to Northern California to perform at Dempseys in Petaluma, CA April 28th. We'll announce other shows on the way soon! Thanks for your love + support! We love seeing you at our shows and meeting new fans. Don't forget to add all of the latest Monthly Machine tracks to your playlists! Come see us at a show soon! We posted a clip of our lead guitarist, James Howard shredding the solo on our instagram. 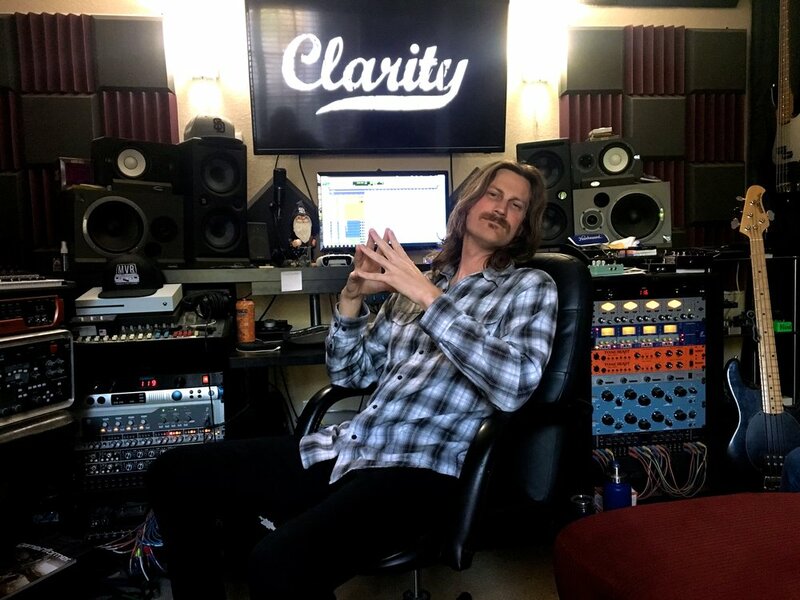 Follow us to get the inside scoop & see what we're doing in the recording studio at Clarity Recordings. Our next show is Saturday, March 17th (St. Patrick's Day!) at Bar Pink. Join us for the SDMA Nominee Showcase! Music starts at 7pm. Click here for the Facebook Event. We're proud to announce Skydriver was nominated for Best Indie/Alternative Album at the 2018 San Diego Music Awards, which will be held March 19th at House of Blues San Diego. It's an honor to be selected and we're working hard to bring you much more music in 2018! Thank you all for your continued support! This week we're heading to Clarity Recordings to finish the March Monthly Machine song... So far Tyty has finished tracking drums, Willy the Chips laid down those sweet bass lines, and James nailed the lead guitar parts! Next we'll layer Jennie's guitar, vocals and harmonies. Stay tuned for more! NEW MONTHLY MACHiNE SONG UPDATE! February's new track "COMFORTABLE" drops FEBRUARY 12th right here at imagerymachne.com! This song is a seductive slow jam just in time for Valentines Day. Hi everyone! 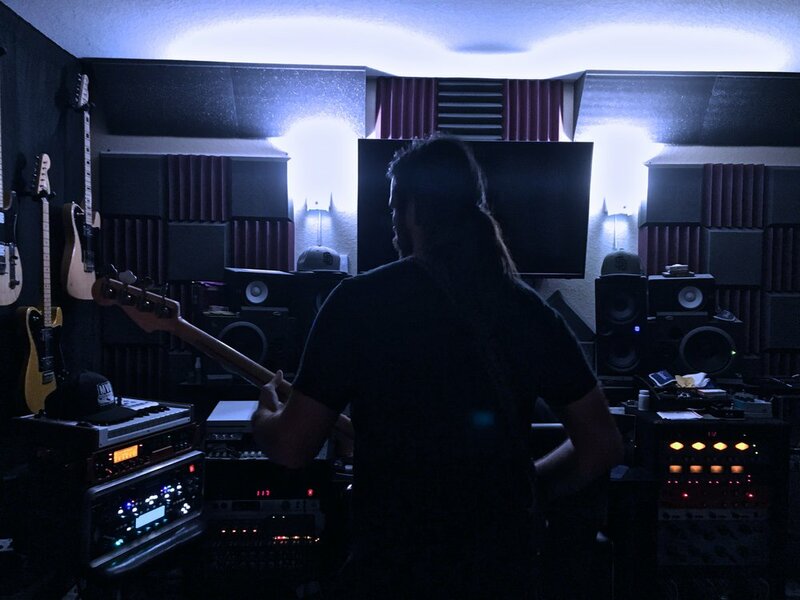 Here are some behind the scenes photos of us at Clarity Recordings while we were recording the new single "She's Gone." If you ever record at Clarity (which we highly recommend) one of your bandmates are guaranteed to fall asleep on the red couch below... Can you guess which IM member passed out while we were working on editing? Below you'll find some fun photos of Imagery Machine in the studio and each of us will share a little about this month's release. Thanks for reading! "All 3 choruses were originally the same as the last one, but the song changed by accident. We were playing the chorus over and over again so that Jennie could listen and write lyrics, and I wanted to take a break, so I tried looping my chorus part while the rest of the band jammed it out. I was a 16th note off on my loop, which caused the first chord to come out on an offbeat. We heard it and instantly realized we liked it better than the original, and the feel of the song changed a bit. Next week we will share information about the new single we'll be releasing next month! Stay tuned. Listen now if you haven't heard the new track "She's Gone"
We're excited to announce the first release of 2018 titled "She's Gone." The release of this track is also the start of our newest project, the Monthly Machine. We're releasing a brand new track on the second Monday of each month. At the end of the year, all of the tracks will appear on a full-length album. We'll be sharing photos and videos of the band throughout the recording process here on our blog. Let us know what you think about the new song! Check out this video created by Mona Liz Urban! Friends, we are proud to unveil to you Imagery Machine's first big project: The Monthly Machine! We will be releasing one brand new track every month in 2018 for a total of 12 new songs! Once all 12 tracks have been released, we will be putting all of the songs together to make up our first full length album. 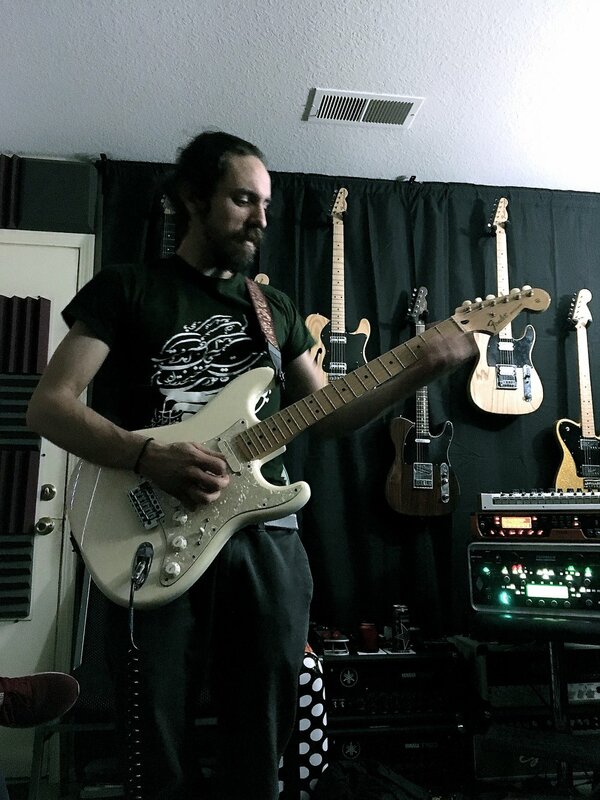 The tracks will be released every second Monday of each month, with the first song entitled "She's Gone" being made available for streaming and purchase on Monday, January 8th at imagerymachine.com via Spotify. Thanks to Sean at Clarity Recordings in San Diego, CA for helping us embark on this trek, we are very excited to see where 2018 will take us! "She's Gone" out Monday, January 8th right here at imagerymachine.com! WE STARTED A BLOG YO! Hello friends, and thank you for checking out the official Imagery Machine blog! We have big things planned for 2018 so check back here very soon!